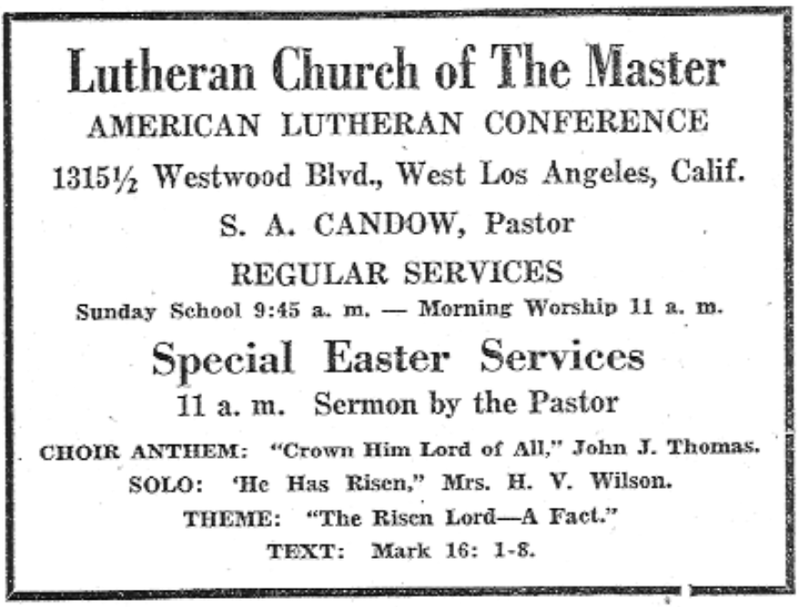 On September 30, 1940, Lutheran Church of The Master was officially organized in West Los Angeles at the home of Mr. and Mrs. Arthur J. Behrens in a meeting of seventeen charter members. A visionary recognizing the need for a Lutheran house of worship in the area, Arthur Behrens was instrumental in founding LCM as a mission congregation of the American Lutheran Church. Prior to official organization, several worship services had been held in a dance studio on Westwood Boulevard led by newly ordained Rev. Sterling Candow and his bride Emma Lou. Thus began the long and fruitful ministry of Lutheran Church of The Master. The imprint of Pastor Candow is still apparent, especially in the design and construction of the church itself. Five pastors have served the congregation in seventy-five years. 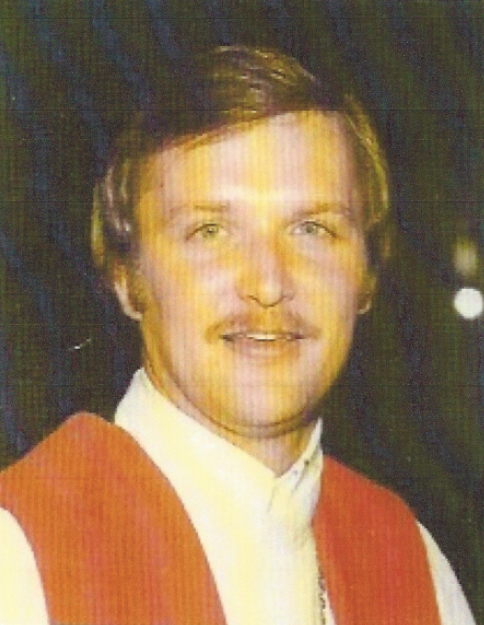 Following in Pastor Candow's footsteps were: Charles Daly (1977-79), Robert S. Richards (1979-2003), John Rollefson (2004-2009), and Ioan Ittu (2010-2015). Many changes have occurred during boom years, peaceful times, war and recession, with the community evolving from a suburban neighborhood to an urban environment. The 1940s saw the church and parsonage built and dedicated on December 14, 1941, just as America entered World War II. 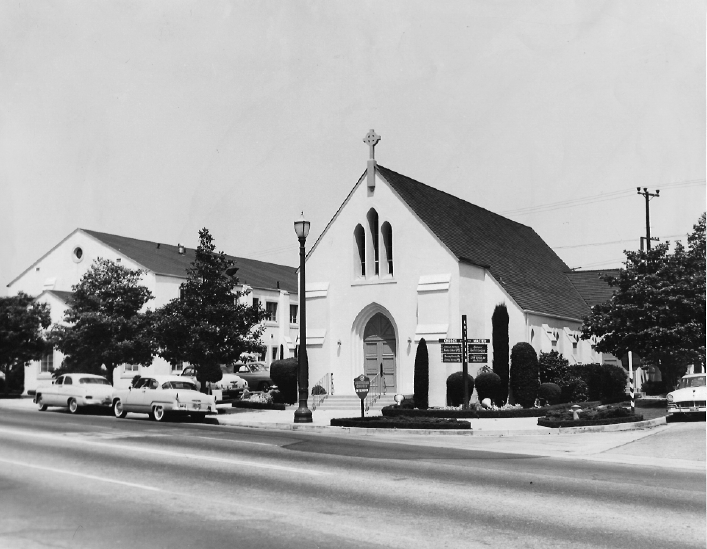 By 1945 the congregation outgrew its mission status and became self-supporting, purchasing an adjoining lot for future expansion and installing a new Hammond organ. 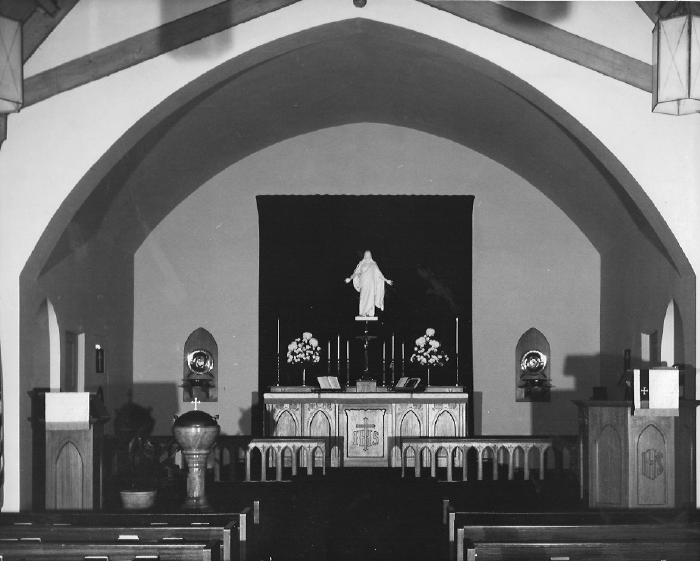 The congregation continued to grow in the 1950s with the construction of a two-story parish hall/education building and the purchase of new chancel furniture and an off-site parking lot. Four young men from the congregation were ordained in the 1950s and ‘60s. The former American Lutheran Church (German) and Evangelical Lutheran Church (Norwegian) joined in 1960 to become the American Lutheran Church. Later in the decade, the sanctuary was carpeted and paneled and new altar paraments were purchased. The congregation's first pipe organ was dedicated in 1979. It was a refurbished five rank Reuter Pipe Organ built in 1919. Modern art-glass windows were installed in 1980, which depict Old and New Testament stories in the nave and Creation and Resurrection themes in the transepts. The stained glass windows were the first to be designed and constructed by artist Mark Gulsrud, who hand-cut and fit each piece of hand-blown glass into the leading. He is now well known for many installations. The Lutheran Church of The Master Foundation was created in 1986 as a vehicle for estate planning and charitable gifts. The next year, the Evangelical Lutheran Church in America, or ELCA, was created from three church bodies - The American Lutheran Church, the Lutheran Church in America and the Association of Evangelical Lutheran Churches. The sacristy was remodeled in 1989, and in 1990 the parish hall auditorium was refurbished with new tables, chairs and refinished floors. After a successful fundraising campaign and extensive remodeling of the sanctuary balcony by men of the congregation, a new 16-rank Schantz Pipe Organ was installed and dedicated in 1993. Computers and the Internet became church communication tools in the mid-1990s and a website was established that drew new people to the congregation. Over many years of service, the parish hall hosted five Alcoholics Anonymous groups, the Linden School, the Los Angeles Alternative Charter School and Hospice in Home, which provides help and resources for the terminally ill. In the late 1990s the church council realized it had become an economic burden and more on-site parking was needed. In 2003 the off-site parking lot was sold, the deteriorating parish hall was demolished and a new on-site parking lot and church lawn were created. City building and planning codes prevented a hoped-for smaller parish hall from being built and limited the number of parking spaces. In 2009, church offices were moved to the parsonage from a storefront space on Kelton Ave. that had been leased since 2007. The old parsonage became the new parish hall and now contains office and fellowship space. The current decade has brought people from Persia to the neighborhood who have converted to Christianity and the congregation serves once again as a ministry of change. Besides Persia, we have welcomed members and visitors who come from many lands, including Indonesia, China, Sweden, France, Russia, Romania, Germany and Australia. "A Changeless Christ in a Changing World" is an ongoing theme of anniversary celebrations at LCM. Over the years, many changes have fostered the mission of this community to preach and spread the changeless gospel of Jesus Christ.